Formerly known as Samaritan Counseling Services, we are a compassionate, spiritually-integrated and community-based care organization affiliated with Wake Forest Baptist Health. As one of eight regions in the CareNet Counseling family, our two centers in Statesville and Mooresville are committed to improving the mental health of our region and the counties we serve, including: Cabarrus, Catawba, Davie, Iredell, Lincolnton, North Mecklenburg, Rowan and Stanley. 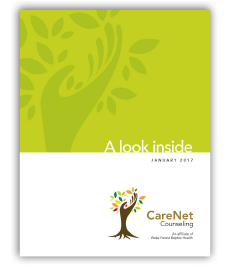 CareNet provides health and hope for those facing personal struggles, the loss of a loved one, career concerns and additional mental health issues. We want to help you on your journey toward a more abundant life. We deliver specialized, spiritually-integrated care, education, training and consultations for a variety of mental health issues through the compassionate presence of professionally trained, state licensed and certified professionals. We are supported in our mission by a highly-engaged board of prominent religious, business and professional leaders with one driving goal – making sure everyone in our community has access to our counseling services and educational programs regardless of their ability to pay. In conjunction with the nonprofit, Screening for Mental Health, all of us at CareNet would like to encourage you to take advantage of this free online screening. And remember, dealing with depression is a road no one should have to walk alone. To take your free screening, click here. Throughout the year, we host and co-host a variety of highly informative presentations and talks on various topics in mental health. Please check back regularly to learn more about our upcoming presentations and talks. Mental Health First Aid- Coming soon! We hope to offer this in 2018. Cindy graduated from Loyola University Maryland with a Master of Science in pastoral counseling in 2004. Her undergraduate work was in dental hygiene. She taught at the community college level and practiced in health care for over 20 years before receiving her counseling degree. 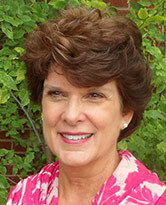 She is now a seasoned Licensed Professional Counselor in North Carolina and is on most insurance panels offered in NC. After completing her counseling degree, Cindy earned the Basic Graduate Theological Studies in the United Methodist Church from Wesley Theological Seminary in Washington, DC. Cindy’s calling and passion is pastoral counseling, a process which seeks to understand the human search for meaning and purpose in all of its complexity. She embodies her role of living and practicing by encouraging her clients to live simply, intentionally and purposefully. Pastoral counseling espouses a growth-oriented approach in attempting to interpret human behavior and human experience as an integration of the psychological, intellectual, emotional, social and spiritual. Cindy is available to individuals, late teens and couples for counseling in the Statesville and Mooresville/Lake Norman clinics. Cindy also serves as a counselor for Davidson Clergy Center, which provides a weeklong, integrative professional experience for clergy and ministry professionals. Bill Wilder is Lake Norman’s most sought after relationship and family expert. He is a highly skilled therapist who provides a safe space for his clients. Those who want to come to their full potential, through validation and encouragement, have found this work rewarding. Bill is compassionate and results-focused; he helps his clients make the changes they need to get more out of their relationships. His specialty is couples and families who are seeking greater intimacy, teenagers looking for guidance, and men wanting to gain clarity around meaning and life purpose. Bill’s humor, wisdom, directness and solution-oriented approaches are his trademark. He works with adults, adolescents, couples and families addressing these presenting issues: life transitions, spiritually-integrated counseling, anxiety, depression, Attention Deficit/Hyperacitiv Disorder, sexual Issues, self-criticism, resiliency, collaborative problem solving, assertiveness training, anger, values clarification, blended families and trauma resolution. Bill’s empowering and creative approach to counseling has been largely influenced by the Internal Family Systems (IFS) model of psychotherapy, which gives people a clear path to resolve deep-seated emotional issues. Bill’s own life journeys have made him relatable, down-to-earth, and accessible. Bill is equipped with a master’s in marriage and family therapy and Master of Divinity from Reformed Theological Seminary. 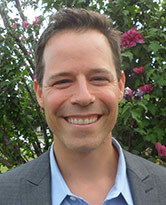 Bill completed his post graduate training with The Center for Self Leadership and is a Level 2 trained IFS therapist. Remember, it’s because of donations from organizations, service clubs, corporations, foundations and individuals like you, that we’re able to provide these critical counseling services for the communities we serve here in the Central Piedmont Region. You can donate securely online through PayPal below with either a single gift or recurring monthly gift. We always need volunteers to serve on our board and committees, as well as help at the center and at events. If you are interested in volunteering please contact, Center Director, Cynthia Hickman Ray at cmray@wakehealth.edu or 704-871-1712.